October 14th is officially known as Be Bald And Free Day. 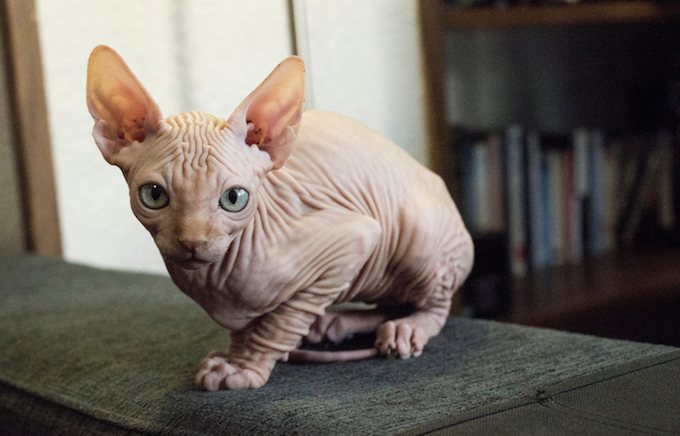 It’s a special celebration for humans of the less hirsute variety–but it’s also a smart prompt to take a peek into the very distinctive world of hairless cats. In honor of naturally bald cats across the world, here are six things you need to know about hairless felines. 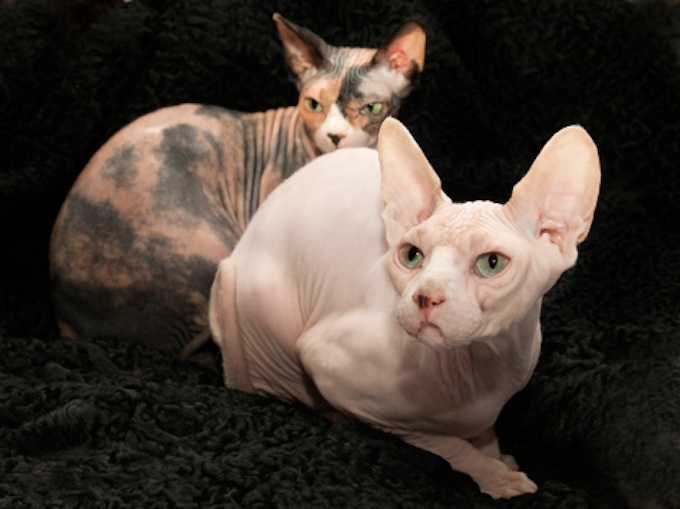 The Sphynx is the most recognizable hairless cat, but it’s not the only hairless breed. 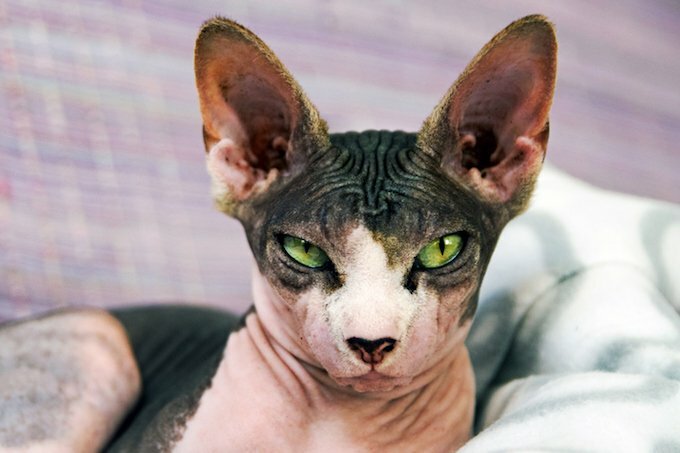 Despite sounding like they hail from the Egyptian desert, the Sphynx actually originates in Canada. 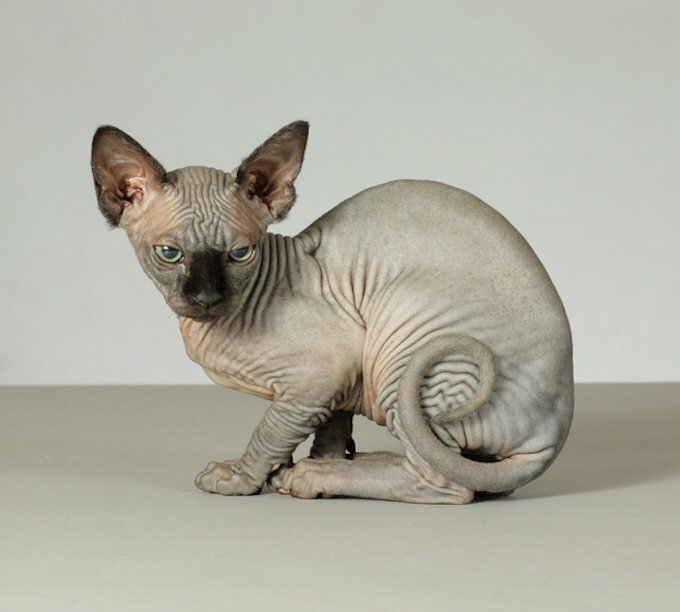 Other popular hairless cat breeds include the Donskoy, who comes equipped with webbed toes, the Minskin, whose short legs almost resemble those of a Dachshund, and the Elf Cat, whose ears bring to mind the fantasy creature its named for. There are five or six hairless cat breeds in all, depending on who you ask. 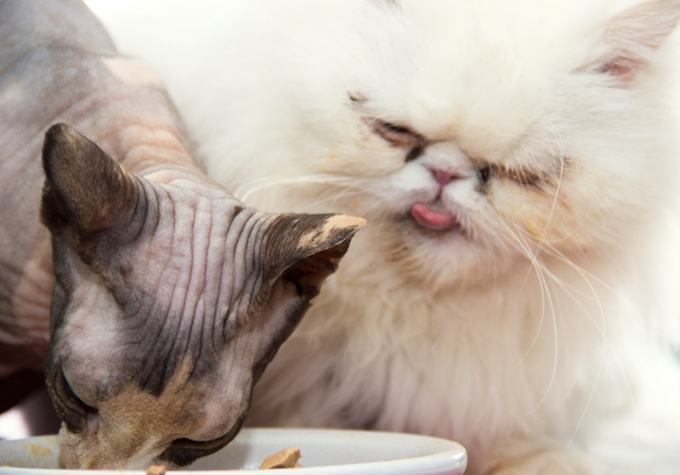 While most cats are well within their rights to start hissing and caterwauling if you so much as suggest that you might want to give them a weekly bath, hairless cats have to be bathed as part of their grooming routine. This is because our hairless feline friends aren’t equipped with any fur to absorb oils, so they need to be washed away. Humans often like to quip that cats and dogs are fine with colder weather because they walk around in a fur coat all day, but obviously that doesn’t apply to the hairless feline. 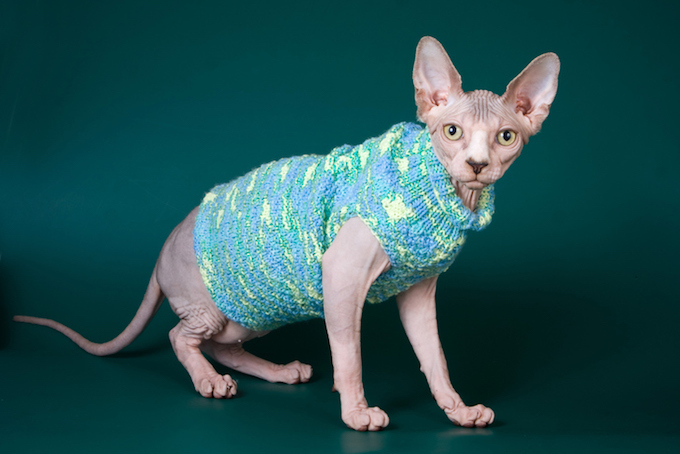 That’s why you’ll often see photos of hairless cats dressed up in sweaters during fall and winter to help regulate their body temperature. Being that hairless cats can get colder quicker than furry felines, it follows that their metabolisms work a little faster. That means hairless cats often chow down larger meal portions. It’s common to think that all hairless cats are a pink color. But the various breeds can actually come with their own patterned markings and shadings. Yep, even tortoiseshell hairless kitties exist! It’s often assumed that humans are allergic to cats because they have a reaction to the feline’s fur, but the case of hairless cats suggests otherwise. They’re not totally hypoallergenic because they still secrete the protein Fel d 1 through their skin and saliva–and it’s this that means humans can still become allergic to them. Do you have any other facts to share about hairless kitties? Are you celebrating Be Bald And Free Day with a follicle-ly challenged cat? Let us know in the comments below!